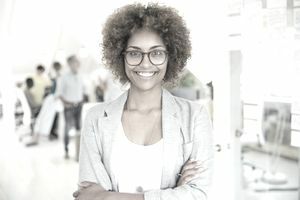 Organizations seek candidates with the personal skills and qualities necessary to successfully interact with others in the workplace, and complete assignments well and on time. Personal skills allow you to communicate effectively with others, self-express and manage yourself. Your personal skills shape not only how you work, but also how you manage your daily life. Personal skills are not hard skills which you can quantify and measure, such as computer programming skills or legal knowledge. Instead, they are soft skills – are intangible qualities or traits that are as, if not more, important to employers. The five top personal skills that job applicants should hone and demonstrate to prospective employers are below. Study each sub-list to understand the soft skills that will enhance your effectiveness in each category. Having personal skills are critical your success in any job. Someone with strong soft skills works well with employers, employees, colleagues, clients, and vendors. They can communicate ideas clearly and listen well to others. Someone with strong personal skills exudes a positive attitude at work, an integral part of a healthy company culture. Overall, employers look for job candidates with strong personal skills because they make the office a better place to work, and they complete their work successfully. They also help effect successful outcomes for their companies. As responsible employees whom people can rely on for help, they meet deadlines and complete tasks. Those with strong personal skills are also often motivated and passionate about their work, which contributes to their success. You can use these skills lists throughout your job search process. Insert the soft skills you’ve developed into your resume when you detail your work history. For the body of your cover letter, give one to two examples of instances that showcase your personal skills. Finally, you can use these skill words in your interview. Prepare at least one brief story during which you demonstrated each of the top five skills listed below. You can also highlight skills that fall into each category. Of course, each job will require different skills and experiences, so make sure you read the job description carefully, emphasizing the skills that align with it. Employers value good problem-solvers as they effectively and swiftly make decisions while largely keeping their emotions at bay. They gather as much information as they can and let intuition, logic and innovative thinking drive the best solution. They are also great collaborators and open to the ideas and opinions of others. As two valued qualities that feed off of each other, dependability and flexibility go hand in hand. Employers hire candidates who demonstrate reliability, responsibility and are trustworthy with more responsibilities. Flexible employees can adapt to change, take on projects outside of their scope and shift their schedule if necessary. A flexible and dependable employee is also willing to help on other projects, even when they are in an unfamiliar focus area. Interpersonal skills, also known as people skills, are those related to how you communicate and interact with those around you. Employers want employees who can get along well with their employers, their colleagues, and clients. People with interpersonal skills are also more likely to work well in teams. Displaying such skills will impress your potential employer and could lead to future opportunities for promotions and raises. Here's a list of interpersonal skills and qualities for resumes, cover letters, job applications, and interviews. Employers seek employees who are positive and passionate about their jobs and are motivated. These individuals tend to put the most effort into their work and learn from their mistakes and failures.